Tewitfield Marina MarinaTewitfield Marina offers self catering holiday accommodation around a Marina complex, located just outside Carnforth on the Lancashire and Cumbria borders alongside Tewitfield Locks on the Lancaster Canal. Tewitfield Marina provides guests with the perfect self catering holiday base in Lancashire with a variety of fully equipped one bedroom apartments and two/three bedroomed townhouses for holiday rental. 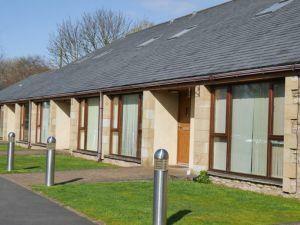 We have dog friendly self catering accommodation too. Tewitfield Marina lies within easy access to some of Britain’s best loved countryside,The Lake District National Park and the Yorkshire Dales. The historic city of Lancaster and the Lakeland villages of Kirkby Lonsdale and Carnforth are less than 30 minutes drive away. Tewitfield Marina is the perfect location for Lancashire self-catering holidays. Tewitfield Marina offers weekly bookings starting on any day. Our one bedroom first floor holiday apartments feature an open plan living space with kitchen, dining and lounge, overlooking the marina. There is a large balcony to enjoy the view from as well. 1 Bed First Fl offers weekly bookings starting on any day. Our one bedroom ground floor holiday apartments feature an open plan living space with kitchen, dining and lounge, overlooking the marina. There is a patio which has steps down to the side of the marina. 1 Bed Ground Fl offers weekly bookings starting on any day. With a spacious downstairs living space, patio leading down to the marina's edge, two large bedrooms and family bathroom upstairs, these are our most popular holiday cottages. 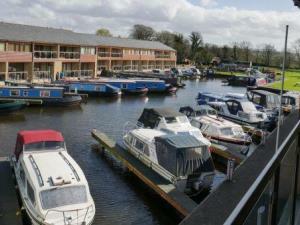 2 Bed Marina V offers weekly bookings starting on any day. These holiday cottages are situated in Sandpiper House and feature a large open plan living space and ground floor bedroom with bathroom. Upstairs is a mezzanine layout with a separate bedroom and bathroom. There is also a large shared garden to the rear of each cottage. 2 Bed Non-Marin offers weekly bookings starting on any day. Tewitfield Marina offers self catering holiday accommodation around a Marina complex, located just outside Carnforth on the Lancashire and Cumbria borders alongside Tewitfield Locks on the Lancaster Canal. Tewitfield Marina provides guests with the perfect self catering holiday base in Lancashire with a variety of fully equipped one bedroom apartments and two/three bedroomed townhouses for holiday rental. We have dog friendly self catering accommodation too. Dogs accepted by prior arrangement. From the North, you can exit at Junction 36 of the M6. Turn left and then right at the next roundabout following signs for Burton in Kendal (A6070). Follow the road through the village and turn left at the Longlands Hotel, follow the lane in front of the Hotel. Tewitfield Marina entrance is on the left. Carlisle Airport is receiving inbound flights from Dublin, Belfast and London (Southend). Airport connections to Carlisle Train Station, local bus services and car hire is available. To book Loganair flight tickets to the Lake District click here. Carlisle Airport is only 64 miles from Tewitfield Marina.